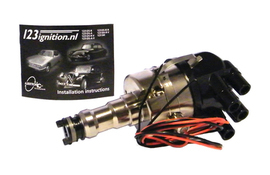 The revolutionary 123ignition system for Citroen DS cars. Complete with vacuum advance and angled cap. No maintenance,ever, FIT & FORGET.